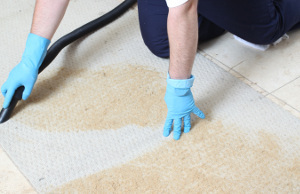 Efficient Rug Cleaning South Harrow HA2 | RDA Cleaning & Maintenance Ltd.
Our experienced rug cleaners South Harrow HA2 begin by inspecting the fabrics of the rug. That way they can determine the right detergents to be used. After this, they would pre-treat all the dirt patches, high-traffic areas and stains. When finished the special absorbing powder is being evenly applied on the entire surface of the rug after which a special machine with lots of tiny brushes scrubs the powder deep into the rug. There it combines with all the dirt and grime and is later vacuumed off. How Will Our Rug Cleaners South Harrow HA2 Carry Out The Job? Depending on the rug type you have, either deep dry or steam rug cleaning South Harrow HA2 will be performed. Steam cleaning (also called hot water extraction) is done with a powerful professional hot water extraction machine. First, the rug is shampooed and then rinsed off. During the process, 95% of the water used is extracted back into the machine. This allows for quicker drying and less risk of ruining the rug and the floor beneath it. Professional Rug Cleaning South Harrow HA2 - Hire Us Now! Invite in your house our highly competent and motivated rug cleaners in. Our expert rug cleaning service is South Harrow HA2 available around the entire year. Ask for a free quote on this phone number 020 3404 1646 now!